It has been almost a whole year since my last newsletter. As many of you will know, the British Chiropractic Association sued me for libel for an article published in April 2008. The case lasted for a miserable two years, but it had a happy ending in April 2010 when the BCA dropped its case against me – in short, I feel that the last two years have vindicated both myself and my criticism of chiropractors. You can find out more about the case on the web, as there was lots of news coverage, such as this article. The magnificent Robin Ince is masterminding a touring show featuring geeks such as Ben Goldacre, Brian Cox and myself. There will be other geeks and comedians joining us in what Robin promises will be a mix of “intelligent comedy and comedic intelligence”. We are covering England, Scotland and Wales, and we should reach over 15,000 people in two weeks. You will find a full list of dates and venues here. If you cannot make it to the Uncaged Monkey Tour, then do support your local geeks by visiting one the many Skeptics in the Pub venues. The London SitP, which was revitalized by the brilliant Sid Rodrigues, regularly attracts over 200 skeptics/rationalists/geeks/etc, and there are similar events up and down the UK and around the world. In 2010, I spoke at roughly 10 SitP events, and I enjoyed every one of them. Thanks to everyone who organized them, attended them and contributed to the discussion. I have some signed overseas translations of my books (German, Catalan, Italian, Japanese, Serbian), which I am keen to find a good home for in return for a small donation to the libel reform campaign. You can find details here. Last time I explained that my physics teacher played a trick on the class. He rolled a transparent rod over two words. Each word spelt out a colour and was printed in that colour. The first word was apparently flipped when seen through the rod, but the other word was not. The teacher said that this was due to the difference in colours and the way that various wavelengths are refracted. In fact, it was nothing to do with refraction. The key point was that the letters in one of the colours were all symmetrical along the horizontal axis. I asked you to find that colour. Annoyingly, I cannot remember the symmetrical colour and I am now questioning my recollection of the whole episode, because nobody sent in a truly satisfactory answer. The best answer (in my opinion) was BEECH sent in by Brian Suda from Iceland, who received a signed copy of “Afterglow of Creation” by Marcus Chown. A personal highlight of 2010 was that one of my books made a cameo appearance in two different TV detective shows on opposite sides of the planet. Can you name the book and both TV shows? This might be an absurdly tricky question, so you might win even if you can name just one of the TV shows. Please send your answer to competition@simonsingh.net – put your answer in the subject header and your address in the body of the email. The closing date for entries is midday on Jan 7. The winner (picked at random from the inbox) will receive a copy of An Ocean of Air by Gabrielle Walker (A Natural History of the Atmosphere). Cheerio and, remember, please sign up to www.libelreform.org/sign – and if you would like to donate to the campaign for libel reform then you might consider purchasing the 2011 Geek Calendar, which has already raised £15,000 for the campaign. This entry was posted in Newsletter on January 1, 2011 by Administrator. My ongoing libel case goes to the Court of Appeal on Tuesday, when the meaning of my article will be decided by three of the most senior judges in the country. Whatever the outcome, the ruling could have a major impact on how English libel laws affect free speech in Britain and around the world. My final words on the subject are simply a plea to sign up to the petition for libel reform. English libel laws have a damaging impact on writers around the world, so we welcome signatories from all countries. My own writing has effectively been halted for almost two years because of the extortionate costs of libel and the painfully slow legal process. More generally, the libel laws can effecively crush criticism by bloggers, scientists, journalists, humans rights organizations and many others. Please sign up at www.libelreform.org/sign. And, if you have already signed the petition, then please encourage others to sign up. If you want to remind yourself of the reasons that might persuade your friends, family and colleagues to sign up to libel reform then please visit the link at the end of the previous paragraph. The Magic of Computer Science is one of the best mathematics education resources I have ever come across. If you are a teacher or you have some budding young mathematicians that you want to inspire then please download this free resource. To be honest, even if you don’t have children to teach, the download contains plenty of interesting ideas for grown ups too. For mathematics teachers in the UK, here are three outreach projects that might interest you. If you missed the first “Nine Lessons and Carols for Godless People” show in 2008, then the good news is that there is now a DVD of the show. I would highly recommend the DVD, which features Richard Dawkins, Stewart Lee, Josie Long, Simon Singh, Richard Herring, Gavin Osbourne, Isy Suttie, Ben Goldacre, Andrew Collins and many others. I have spoken at half a dozen Skeptics in the Pub events in the last few months, and on each occasion it has been a thought-provoking and entertaining evening – certainly for me, and hopefully for the audience too. Why not check out your local Skeptics in the Pub? There are venues around the world, including Cape Town, Sydney, Boston, Vienna and Leicester. Try this brilliant kitchen experiment, courtesy of the Naked Scientists. The lead singer of The Cure is Robert Smith?. If false, who is this person? If true, where was he born? The vast majority of answers said “true” and sent me the birthplace of the lead singer of The Cure, but unfortunately they did not read the question! The initial statement was about “Robert Smith?”, i.e., the question mark is actually part of the name. So the correct answer is “false”, he is a mathematician. The only correct answers were from John Sheekey, Craig Barnthson, Eddie Mizzi, Tim Lovell, Barry Keeting, Rohit Jnagal and Rob Oldaker… and it was Rob from Somerset who was the prize winner and who received a copy of “The Hair of the Dog (and other scientific surprises)” by Karl Sabbagh. When I was twelve years old, my physics teacher Mr Mynett played a trick on the class. He rolled a transparent rod (maybe made of glass, perhaps three centimetres in diameter) over two words. Each word spelt out a colour and was printed in that colour. The first word, YELLOW printed in yellow, was apparently flipped when seen through the rod, but the other word was not. Mr Mynett said that this was due to the difference in colours and the way various wavelengths are refracted. In fact, it was nothing to do with refraction. The key point was that one of the colours was symmetrical along the horizontal axis. For example, imagine that the words had been baby creatures, such as CHICK and PUPPY. Both words would have been flipped, but it would have seemed that CHICK had not been flipped because it is symmetrical. Annoyingly, I cannot remember the symmetrical colour. Can you think of it? There may be several symmetrical colours, so the prize will go to the longest colour. Let’s assume that it was written in CAPITALS and in this font. Please send your answer to competition@simonsingh.net – put your answer in the subject header and your address in the body of the email. The closing date for entries is midday on Feb 23. The winner (picked out at random from the inbox) will receive a signed copy of “Afterglow of Creation” by Marcus Chown. This entry was posted in Newsletter on February 21, 2010 by Administrator. This youtube clip has just gone viral. It contains some wonderful science tricks that you can try at home. My favorite is the homemade CO2 flame extinguisher. This Monroe-Einstein illusion is brilliant. The earlier illusions in the slide show are slightly spookier. I twittered about this a couple of weeks ago (@SLSingh), but it is worth another mention in case you are looking for a last minute gift for the budding particle physicist in your family. This week I am performing with Robin Ince and a whole host of scientists, comedians and musicians. Every night is sold out except Sunday at the Hammersmith Apollo. It will be a celebration of science, the universe and rationalism, so please come along. The line up includes Richard Dawkins, Dara O’Briain, Barry Cryer and Brian Cox. If you place your order by Friday morning, then it will be despatched by Friday afternoon and you should receive it by Christmas. The books are expensive, but please bear in mind that all the profits go to a good cause, namely free speech. There are lots of reasons for this, but the first major event will be my appearance at the Court of Appeal on Feb 22 in relation to my libel case. The court will consist of three of the most important judges in the country, namely the Lord Chief Justice, the Master of the Rolls and the formidable Lord Justice Sedley. Their decision will have a major impact on science journalism in the UK and around the world. You can read more about this at Jack of Kent’s blog. In the last newsletter we were helping Lisa with her university project. The longest words that could be Caesar shifted into other words were from Bob Ellington in Indiana. ‘Corocoro’ (town in Bolivia) is a Caesar shift of ‘Wiliwili’ (Hawaiian tree). For those who don’t like proper nouns, Bob also suggested the words ‘abjurer’ and ‘nowhere’, which are one letter shorter than ‘Corocoro’ and ‘Wiliwili’. Bob receives a copy of “Isaac Newton” by James Gleick. It true, where was he born? Please send your answer to competition@simonsingh.net – put your answer in the subject header and your address in the body of the email. The closing date for entries is midday on December 18 – I am keen to post the prize so that it arrives in time for Christmas. The winner (picked out at random from the inbox) will receive a copy of “The Hair of the Dog (and other scientific surprises)” by Karl Sabbagh. This entry was posted in Newsletter on December 16, 2009 by Administrator. I am hoping to send out a proper newsletter later this week, but in the meantime I have an urgent and important request. Finally, I would like to make three points. Second, please spread the word by blogging, twittering, Facebooking and emailing in order to encourage friends, family and colleagues to sign up. Third, for those supporters who live overseas, please also add your name to the petition and encourage others to do the same; unfortunately and embarrassingly, English libel laws impact writers in the rest of the world, but now you can help change those laws by showing your support for libel reform. While I fight in my own libel battle, I hope that you will fight the bigger battle of libel reform. This entry was posted in Newsletter on December 15, 2009 by Administrator. I am back at the High Court on Wednesday 14 October. I will renew my application to appeal the ruling on meaning in my libel case against the British Chiropractic Association. Hopefully there will be news on the result by the end of the week. Jack of Kent’s recent blog gives an excellent summary of the current situation. The campaign for libel reform is moving up a gear. Richard Dawkins spoke at the Liberal Democrat party conference – there was a huge show of support from and the delegates and libel reform will be part of the Lib Dem manifesto. I spoke to the science group at the Tory party conference this past week and raised the issue of libel reform. Over the next three months there will be a major push on the issue of libel reform, so please keep an eye out for news. And, of course, wherever you are in the world, please sign up to the statement of support. We need to turn 20,000 names into 100,000 names! I have joined the legions of Twitterers as “SLSingh” – follow me for various updates on everything from lectures to the libel case (as well as maths, crypto and cosmology). I will be giving various talks around the UK this autumn. They are all listed on my website – please keep an eye out for the two fundraisers for Bletchley Park, the two events on libel happening this coming week in London, and lots of shows with Robin Ince’s Book Club in Cambridge, Bath, Brighton and Folkstone. I have not listed this winter’s “Godless” shows as they have all sold out. However, if you don’t have a ticket then visit the New Humanist website at the end of the week for some good news. Noel Potter from Cleveland suggested 6^(2+1)=216‏ as a solution to A^(B+C)=BCA, so he receives a copy of “Why Does E=mc^2? : (and Why Should We Care? )” by Brian Cox and Jeff Forshaw. Other possible solutions include 5^(1+2)=125 and 2^(8-1)=128. Lisa Wadley from the University of Glamorgan is working on a student project and asked me if I knew the longest word that could be Caesar-shifted to form another word. For example, COLD turns into FROG if each letter is replaced by the letter 3 places further down the alphabet. Or DOLLS turns into WHEEL if each letter is Caesar shifted by 19 places. But can you help Lisa and find a word that is longer than 5 letters long? Please send your answer to competition@simonsingh.net – put your answer in the subject header and your address in the body of the email. The closing date for entries is October 14 – Lisa’s project deadline is approaching fast. The winner (whoever comes up with the longest pair of English words) will receive a copy of “Isaac Newton” by James Gleick. This entry was posted in Newsletter on October 10, 2009 by Administrator. The Court of Appeal’s refusal is obviously disappointing, but I remain in good spirits. I will not be making a decision about my response until I have seen the official letter and the details of the refusal, and I will also need to time to discuss the situation with friends, colleagues, supporters and family. In the meantime, while my particular libel case is ongoing, it continues to raise a whole series of arguably more important issues, particularly the appalling state of English libel laws. I am pleased that the Culture Secretary has agreed to meet with signatories of the Keep Libel Laws out of Science campaign statement to hear how the laws affect science writers. We are also pursuing a meeting at the Ministry of Justice and with front benchers in other departments to lobby for a change in the law. Also, Ben Goldacre’s recent and excellent article in the Guardian (“An intrepid, ragged band of bloggers”) documents various activities that will interest those following my case. I have just returned from the Adelaide Festival of Ideas and from speaking to skeptics in Sydney and Melbourne. Thanks to everyone who came to the events and offered words of support. Also, the Australian media covered “Trick Or Treatment?”, the problems of English libel laws and the evidence for chiropractic on national TV, print and radio. It is very short notice, but I will be appearing tonight and tomorrow night in Camden, along with Robin Ince, Ben Goldacre, Nathalie Haynes, Andrew Collins and others. I am sorry that I missed TAM 2009 (the annual skeptics conference in Las Vegas), but I was busy being skeptical in Australia. I am particularly sorry that I missed the skeptical marriage of the century. Best wishes to Sid and Rebecca. Watching this made me smile for a very long time. Writing this newsletter has been a bit of an urgent panic in light of the refusal of my application to appeal, so there is no competition winner or new competition to announce. More news, competitions, etc., in the next newsletter. This entry was posted in Newsletter on August 3, 2009 by Administrator. Unlike recent newsletters, I will try to avoid filling this one with lots of tedious legal details. However, I will mention that the Application to Appeal has been lodged and I am now waiting for the result. For more news and information about my libel case, you can visit the Sense About Science website or follow any of the insightful and entertaining bloggers who are covering the subject. The most recent media coverage was in the Daily Mail and there is also an interview I gave to the Nature podcast. Most important of all (if you have not done it already), please sign and support the libel reform campaign and encourage others to join the list of 15,000 names. I am currently in Adelaide, where I am taking part in the Festival of Ideas. I have already spoken at a couple of events, and have two more to come on Sunday. You can find out more details at the festival website or my website. I am also giving a talk on Tuesday in Adelaide about risk and probability, which is an event sponsored by the Royal Institution of Australia. I will also be speaking in Sydney on July 15. And then there is the Periodic Table of Videos, starring the magnificent Professor Poliakoff. For example, 5^(1+2)=125. Can you find another solution? Please send your answer to competition@simonsingh.net – put your answer in the subject header and your address in the body of the email. The closing date for entries is July 14. The winner will receive a copy of “Why Does E=mc^2? : (and Why Should We Care? )” by Brian Cox and Jeff Forshaw. This entry was posted in Newsletter on July 12, 2009 by Administrator. And finally, a massive thanks to everyone who has been so supportive over the last month. You have genuinely played a crucial role in my decision to go to the Court of Appeal. This entry was posted in Newsletter on June 6, 2009 by Administrator. I apologise for the silence since last week’s bad news at the High Court, but at last I have been able to take stock of the situation and write a quick update. It has been over a year since I wrote an article for the Guardian newspaper (19 April 2008) about chiropractic, its effectiveness in relation to childhood conditions and its risks. The British Chiropractic Association then decided to sue me for libel and I have spent most of the last twelve months building a defence. Prior to the full trial it was agreed that it would be helpful for the actual meaning of the article to be established in a preliminary hearing. On Thursday 7 May 2009 the preliminary hearing took place at the Royal Courts of Justice in front of Justice David Eady. It is not an understatement to say that his ruling was, from my point of view, disastrous and misguided. The core of my article, and the aspect that I thought was mainly under scrutiny, suggested that chiropractors lacked evidence to support their treatment of several childhood conditions. I therefore called these treatments “bogus”. The judge held that merely using the phrase “happily promotes bogus treatments” meant that I was stating, as a matter of fact, that the BCA was being consciously dishonest in promoting chiropractic for treating the children’s ailments in question, in that they were promoting treatments they knew were ineffective. Although I maintain my position that such chiropractic treatment for childhood conditions lacks any significant scientific basis and that chiropractic in general carries risks, I do not and never have meant to imply that chiropractors are deliberately and dishonestly offering such treatments. My view is that, for example, they may not know the scientific evidence, they may not understand it or they may have a biased interpretation of the evidence – I don’t know. More generally, I share the commonly held view that alternative therapists who offer treatments unsupported by reasonable evidence are deluded rather than deliberately dishonest. I think that Justice Eady has failed to interpret the meaning of the article in the way that a reasonable reader would understand it. 1. Settle now, which will cost in excess of £100,000 (the vast majority of these costs would be to cover the BCA’s legal bills, as opposed to damages). 2. Submit an appeal in relation to the meaning of my article, hoping for a more reasonable ruling on meaning and then fight the case on what the article really meant. I have until May 28 to lodge an application to appeal. I am seriously thinking about this option and am discussing it with my lawyers. It would increase my legal costs and eat up more time, but on the other hand I think I deserve the chance to fight my case on a reasonable interpretation of my article. Moreover, this case demonstrates the chilling effect that the libel laws can have journalism in general, and science journalism in particular. The events of last week impact far beyond the author of one article on the subject of chiropractic. Last Thursday was a miserable day, but I like to think I am as resilient as a Tigger. I am certainly in good spirits. In particular, family, friends, readers and bloggers have all cheered me up. Thanks also for your supportive messages. I will try to reply to emails, but please forgive me if I don’t. The best option is to post to the Facebook site (see below) – I do regularly read the wall and it frequently makes me smile. I should also point out that the enormous support that I have received from around the world has certainly made me more enthusiastic about lodging an appeal (if this turns out to be a practical option). Scientists, journalists, comedians, rationalists, skeptics, bloggers, politicians and those who care about free speech have all expressed their outrage at last week’s ruling. The next event that will interest those following the case is a public meeting on Monday 18 May at 6.30pm at Penderel’s Oak Pub (283 High Holborn, WC1V 7HP). Speakers will include me, the amazing Nick Cohen, the fantastic Dave Gorman and the heroic Evan Harris MP. If you cannot make it to the meeting, then please help by letting others know about the case, the ruling and the possibility of an appeal. If there is an appeal, then it would be great to launch it upon a strong tide of public support. If you want to find out more about the case (or want to inform others) then below are some useful links. This includes mainstream media coverage in New Scientist, Nature and the Economist. Thanks again to everyone who has been so supportive. This seems to be the best place for keeping up with the latest news and developments. It contains links to various blogs and articles commenting on the case. Joining the group is a great way to show your support. 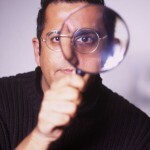 Googling words such as SIMON SINGH, BCA, LIBEL will take you to lots of blogs and articles about the libel case. Google news is particularly helpful (search “SIMON SINGH”, and you can also then click on the blog option. This entry was posted in Newsletter on May 15, 2009 by Administrator. Apologies for the second newsletter in a week, but this is just a very quick note about the preliminary hearing of my libel case which starts on Thursday 7 May. Simon Singh v The British Chiropractic Association (BCA). The British Chiropractic Association is suing me for libel and this hearing will be a chance to for the Judge to clear up a couple of grey areas before we gear up for a full trial this autumn. The decisions will be very important as they are likely to determine what the Judge will require in the form of a valid defence and the meaning of the article at the centre of the trial. The Contempt of Court Act applies so there are severe limitations on what anybody (particularly me) can write on the subject until the preliminary trial is underway. Therefore, the best source of information is the web, which contains lots of articles and blogs that have discussed the case in detail. You can Google words such as Singh, BCA & libel. In particular, I would recommend visiting a blog written by Jack of Kent who is a lawyer and who has taken a special interest in this case. This blog will be updated during the hearing and Jack of Kent will also be twittering from outside the court at appropriate breaks in proceedings. Jack of Kent will also be posting to the Facebook group. The hearing on Thursday 7 May might start as early as 10am, but it is more likely to be 10.30, or possibly even 11am. There is a good chance that it will run into Friday. It will take place at the Royal Courts of Justice on the Strand (WC2A 2LL), probably Court 13 or 14. If you are interested and have the time, then you are welcome to attend all or part of the hearing. There should be plenty of room in court. If you get lost then my friend David Allen Green will be standing by the information desk in the main hall of the Royal Courts of Justice at 9.30am on Thursday. I hope to be able to join David for lunch at the Knights Templar pub on Chancery Lane, and this will also be a good meeting place for supporters. If you need more information then you can call the Royal Courts of Justice on 020-7947 6010 (case reference no. is HQ08X02657), otherwise just drop in. As long as you are quiet and do not disturb proceedings then you can arrive and leave during the hearing. And, finally, thanks to everyone who has been so supportive over the last year. The blogs, emails, facebook postings, pats on the back and phone calls have all been much appreciated and a real morale booster. This entry was posted in Newsletter on May 5, 2009 by Administrator.